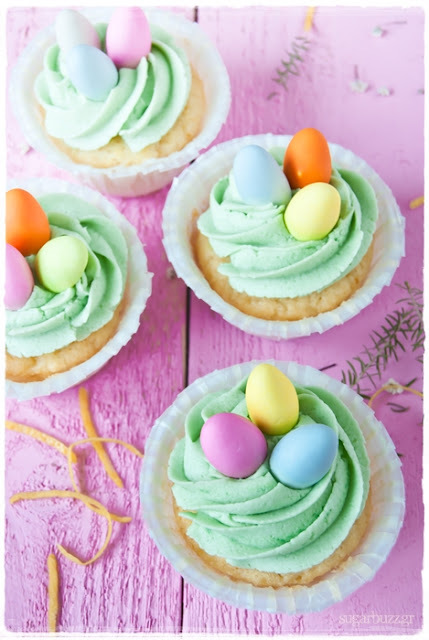 Looking for Super Cute Easter Cupcake Ideas? 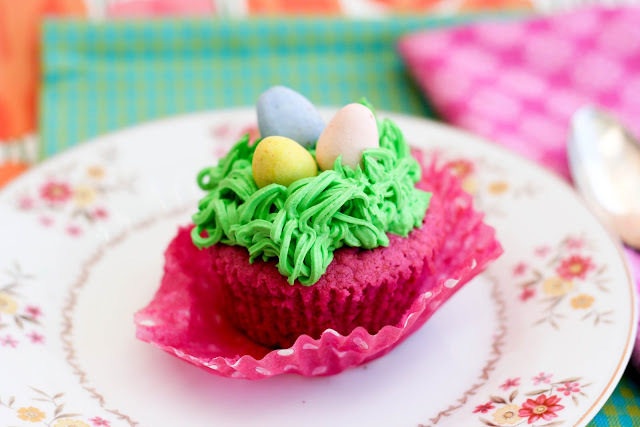 Look no further as I’ve rounded up some my blogger friends very best easter cupcake ideas. 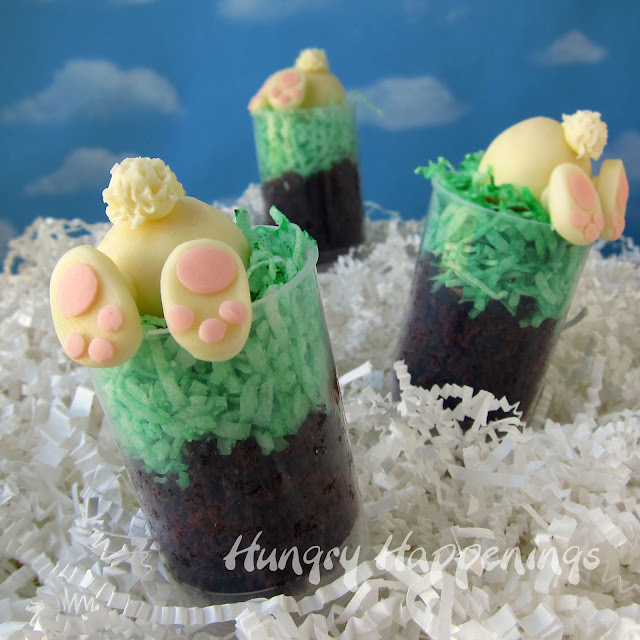 Down the Rabbit Hole Push Pop Cupcakes will make a unique Easter treat. Spring Topiary Cupcakes from Bakingdom are cupcakes topped with a tasty little cookie. Yes please! These nest cupcakes are gluten free! 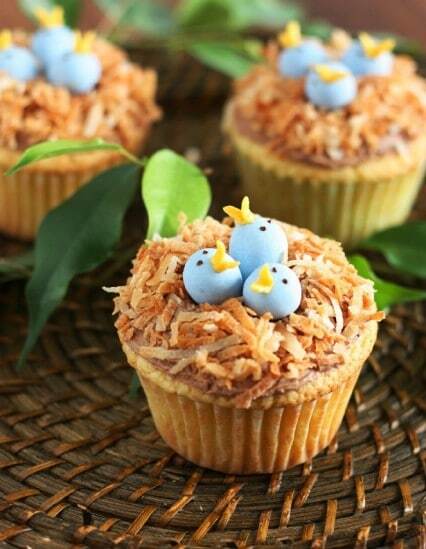 Chick Cupcakes from Elsa Cooks start with a maple carrot cupcake and are topped with coconut. Raspberry Cupcakes from Krissy’s Creations have a beautiful color and an even better flavor. 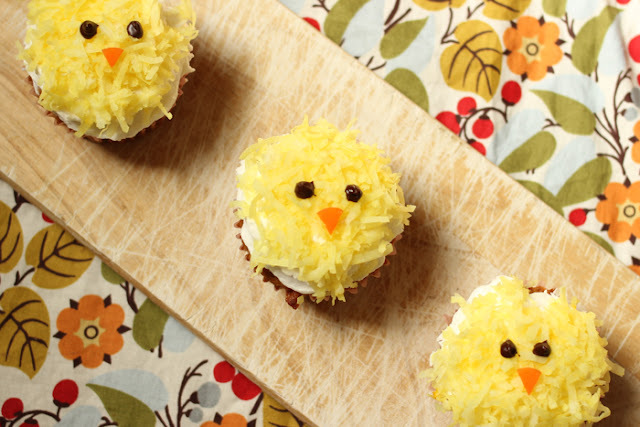 Angie’s Southern Kitchen may have created the cutest Easter cupcakes ever! 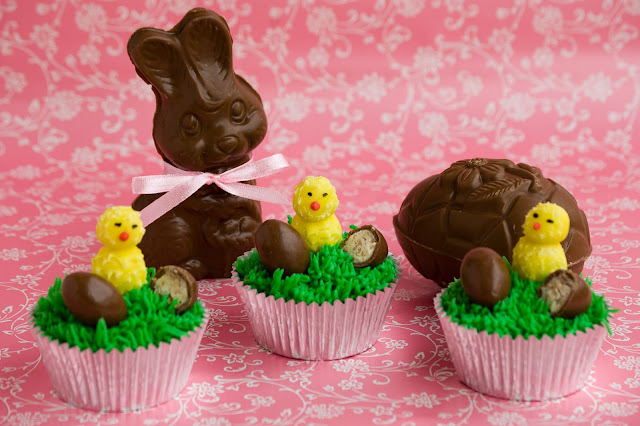 These Easter Bunny Cupcakes from Amanda’s Cooking are made with marshmallows and sticks of gum. Genius! 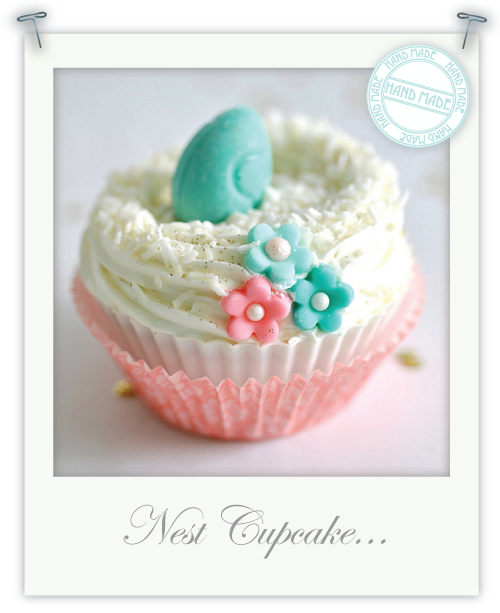 Birds Nest Cupcakes are just the dose of Spring I need to make it thru the rest of the winter. 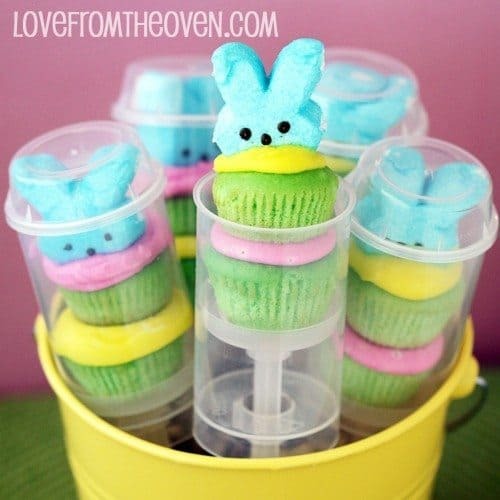 Cupcake Push Pops with Peeps are Perfect for the marshmallow lover in all of us! 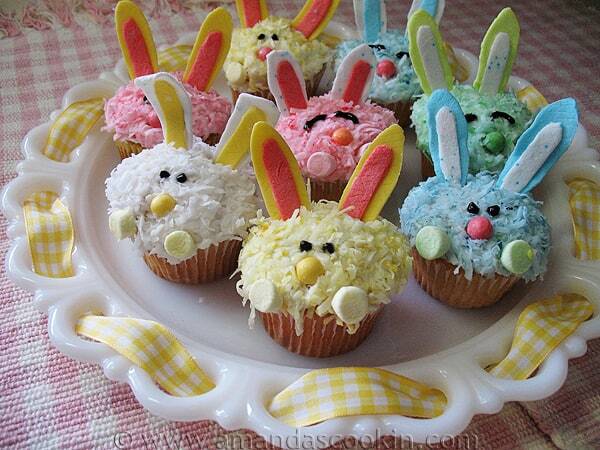 What do you think of these Easter Cupcake ideas? What do you usually serve for Easter dessert? Those are all so cute it’d be hard to decide what to choose! I love raspberry but, the egg nest and rabbit hole are adorable.All of them are. OMG I need to be way more creative in the stuff I make. Great ideas. Thanks so much for including my cupcakes! 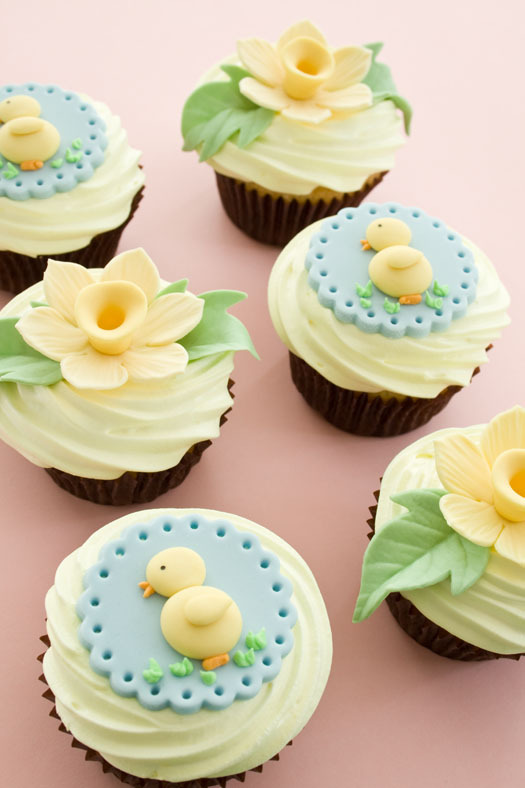 Who knew there were so many cute ways to decorate a cupcake, fabulous round up! Thank you for all the great ideas!! Can’t wait to make this with my granddaughter! These are adorable! I wish I had seen this before Easter! The chick ones are super cute! I love them all…need to make some of these cookies next easter…thank you for sharing.